Herbert Chavez of Calamba, Laguna went under the knife to look like Superman. But it was not just his jaw-dropping transformation that gave him worldwide attention. In its 2013 edition, the Guinness World Records officially welcomes Chavez for having the Largest Collection of Superman Memorabilia in the world. 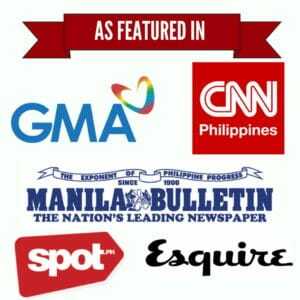 What’s next for the real-life Pinoy Superman? It was in the last quarter of 2011 when Herbert Chavez first hit the news. At first glance, people might have thought that his was just any ordinary ‘fanatic’ story. But as local TV shows explored his life more, Filipino viewers was shocked by how Chavez went to the extreme. At the age of 16, Herbert Chavez was an average-looking lad who had a penchant for anything ‘Superman’. 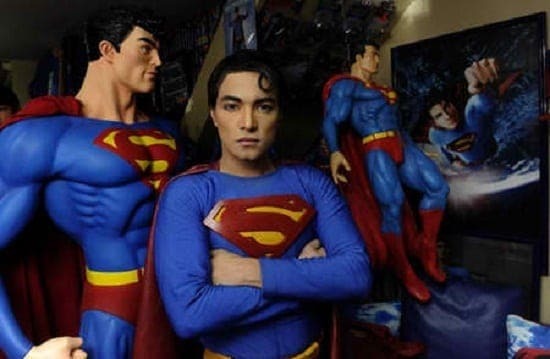 He started collecting Superman memorabilia in 1990–rummaging through Baclaran and Divisoria stores for items worth keeping. Then in 1995, Chavez decided to bring his fanaticism to a whole new level: He signed up for a series of cosmetic surgeries to imitate Superman’ chiseled look. To make his dream possible, Chavez had to undergo a total of 13 surgical procedures including lip injections, chin augmentation, thigh implants, nose job, and even skin bleaching. By looking at his facial structures today, one could admit that the cosmetic surgery didn’t turn out a total disaster. Chavez may now resemble the “Man of Steel” but to achieve this feat, he had to say goodbye to his pimpled, teen-aged self from years back. Apart from Superman, the 36-year old Chavez also admits keeping a few Darna-themed memorabilia. He also participates in various cosplaying events clad in his classic Superman costume. And to put his creative imagination into good use, Chavez also made a comic book entitled Horsalinda, a superheroine who can transform into a Pegasus, seahorse, or Tikbalang depending on what the situation calls for. Herbert Chavez is thankful for the television exposure he gained in 2011. He said that without the media attention, there’s no way that the Guinness World Records would discover and contact him. Chavez keeps a staggering 5,000 pieces of Superman memorabilia but only 1, 253 made it to Guinness’ official list of licensed collections. Nonetheless, he still succeeded in claiming the spot for the “Largest Collection of Superman Memorabilia”. But despite his fame and achievements, Chavez believes that he’s fulfilling a deeper purpose. “Tuwing pupunta ‘ko sa mga charity wards ng mga bata, talagang naniniwala sila na may Pilipinong Superman,” he shared in an interview published in Manila Bulletin. Chavez now gets his fulfillment by making these sick kids happy. His decision to change his face drew flak but for Chavez, what he did was “turning out to be good” for him. It seems that “superpower” is what Chavez only needs to finally make him a full-fledged Superman.